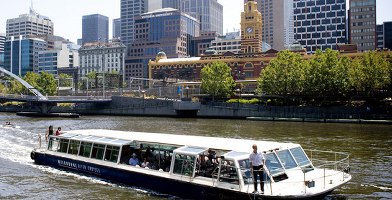 There is a cruise option suitable for every special occasion as you float along the scenic Yarra River of Melbourne! Gaze upon the iconic Botanic Gardens, Dockland and River Gardens, or spoil someone and give them a night cruise including a delicious dinner as the city lights make for a picturesque and romantic background. Enjoy the break from the mundane that the exclusive privacy and comfort such a journey offers. Gift them this scenic cruise of Melbourne's Port and Docklands regions for that next special occasion. Buy a gift voucher for this adventure online. Cruise along the river and pass Melbourne's most scenic river gardens and Herring Island, the Botanic Gardens and Melbourne's famous sports venue! 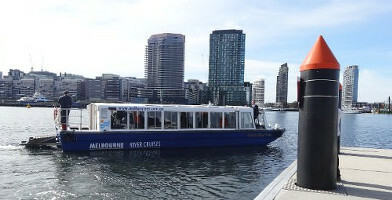 Gift them the chance to discover all of Melbourne's river attractions with this combined River Gardens and Port/Docklands cruise! Buy a gift voucher here. Give someone a scenic 2-hour cruise on the Yarra River with this City to Williamstown return journey. Book your experience gift online here!